Last weekend turned out to be a bit of a wool fest! 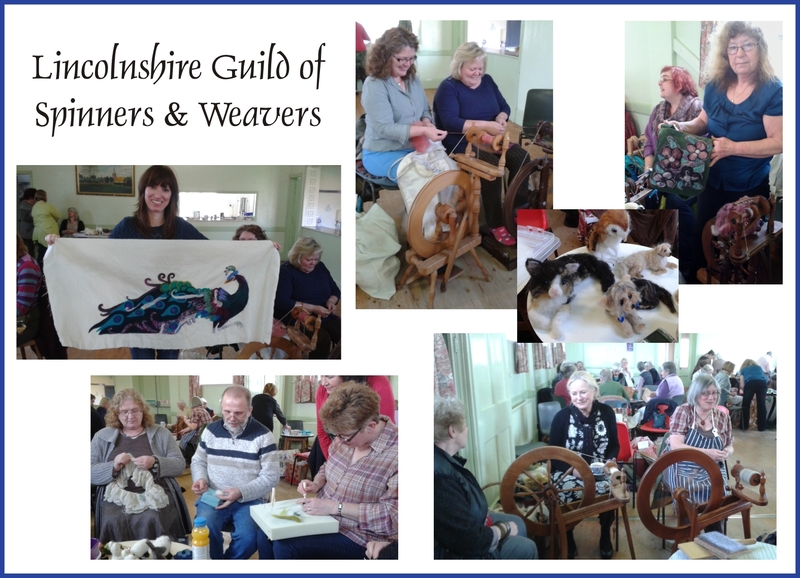 Saturday morning, for the first time, I attended a meeting of the Lincolnshire Spinners and Weavers at Revesby Village Hall. My friend Sheila suggested I might find it interesting as they were having a talk and demo by a local needle felter called Cindy Thompson. 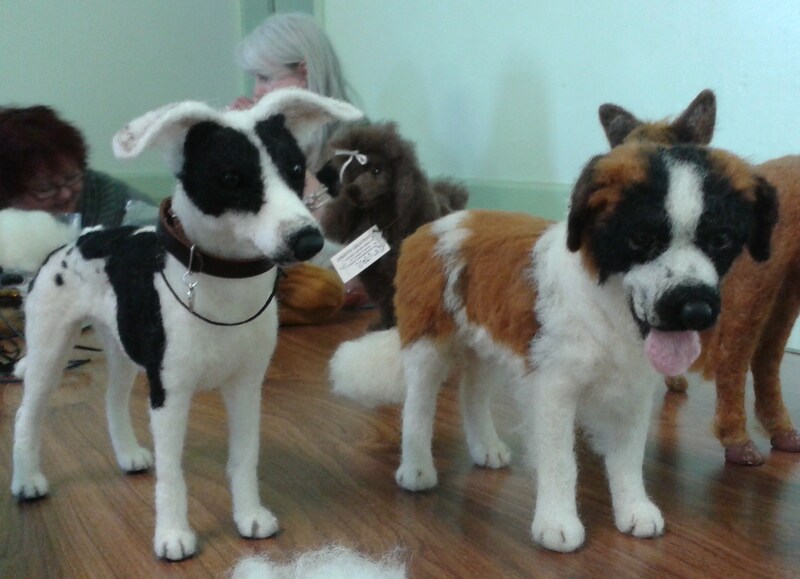 Cindy’s creations, which were mainly sculptures of dogs, were beautiful and incredibly lifelike. 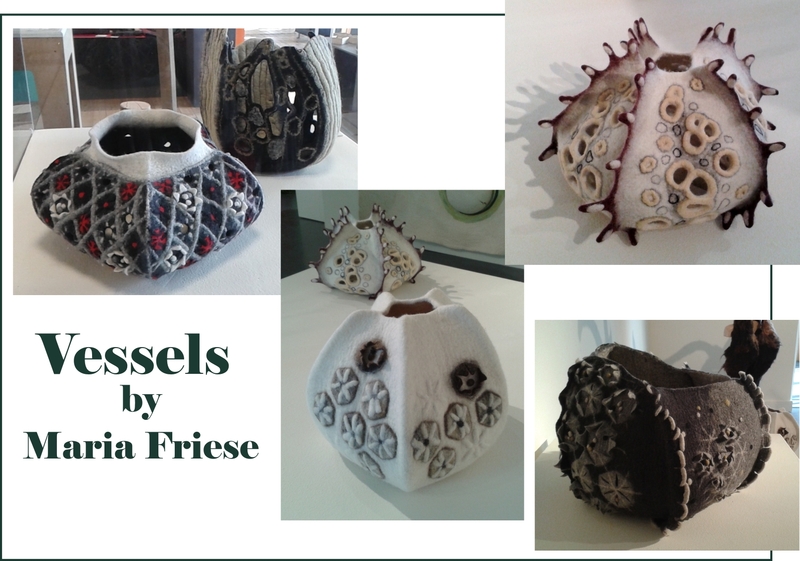 Each piece is created using a thin wire armature covered with wool and needle felted. It was nice to pick up a few tips regarding the construction methods and the fact that the noses, etc are actually sculpted from Fimo, something I wouldn’t have thought of myself. You can see more of Cindy’s work on her ‘Chicktin Creations’ facebook page. Some of Cindy’s fabulous creations on display at Revesby Village Hall. During the morning I got to talk to several of the Guild members and saw various projects they were working on. Although some were camera-shy I did manage to get a few photos to share with you. Lesley Daniels is a keen spinner but also enjoys needle felting and brought along some of her felted animal creations and a velvet bag which she has embellished with needle felting. A particularly interesting piece on show was a stunning needle felted ‘peacock’ wall hanging which Elise is working on Isee top left image below). If I get the chance, and Elise OK’s it, I will post images once this is completed. After lunch Sheila and I headed off for a visit to the National Centre for Craft and Design at Sleaford to see their latest exhibition ‘Black Sheep – the darker side of felt’. This exhibition is an exploration of the edgier side of this extraordinary, versatile and often overlooked material. Exhibition Curator Laura Mabbutt says: ‘This exhibition’s aim is to go some way to giving this unique and versatile medium the accolade that it deserves as well as highlighting the many contemporary applications of this ancient material beyond its stereotypical ‘fuzzy felt’ reputation.’ The work on display is innovative and inspiring, from unusual vessels (Maria Frieze) to outrageous dresses (Horst Couture), fantastical animal themed headwear (Barbara Keal) and teddy bear skulls (Stephanie Metz), to textured sculptures (Marjolein Dallinga), and all of it created from wool. To compliment the exhibition there was a vast collection of objects associated with feltmaking displayed for visitors to touch and test i.e. different varieties of wool, tools and various small felted objects. 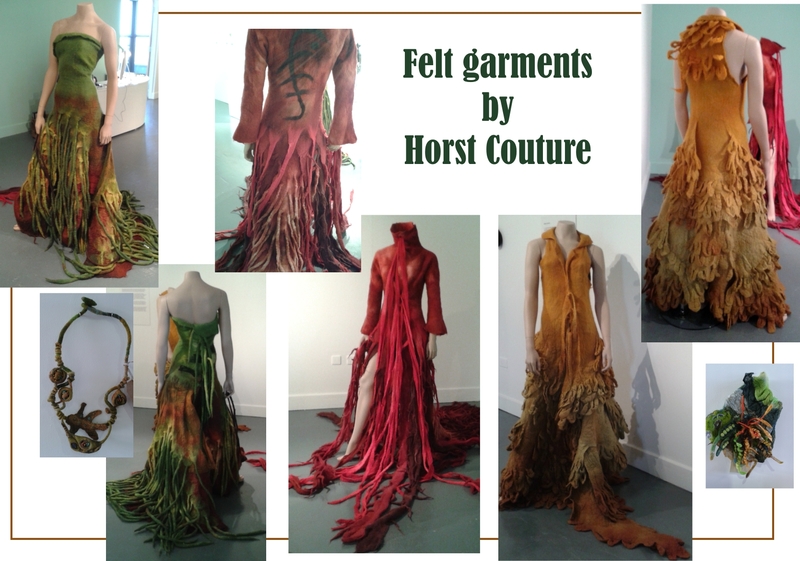 If you have the slightest interest in textiles/wool this exhibition is a must and its due to run until Sunday 11th May.